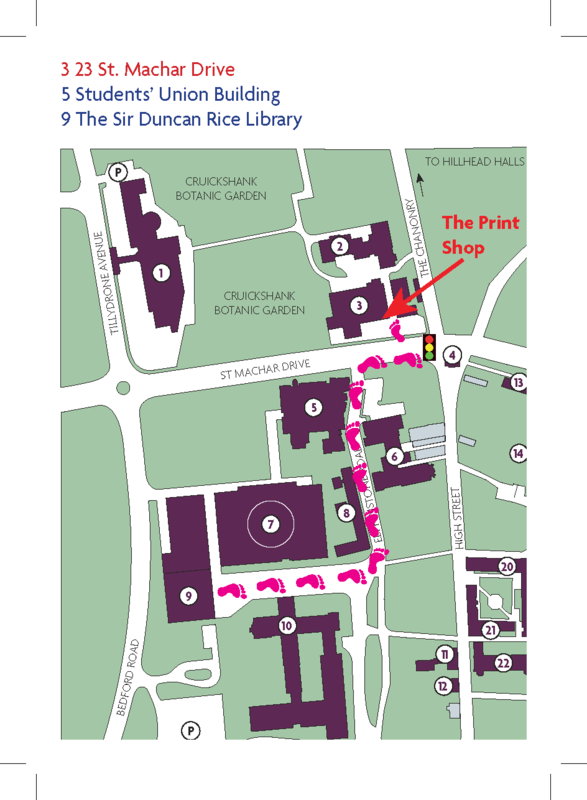 The Print Shop which was located on the ground floor of the Sir Duncan Rice Library has now been moved to elsewhere on campus. 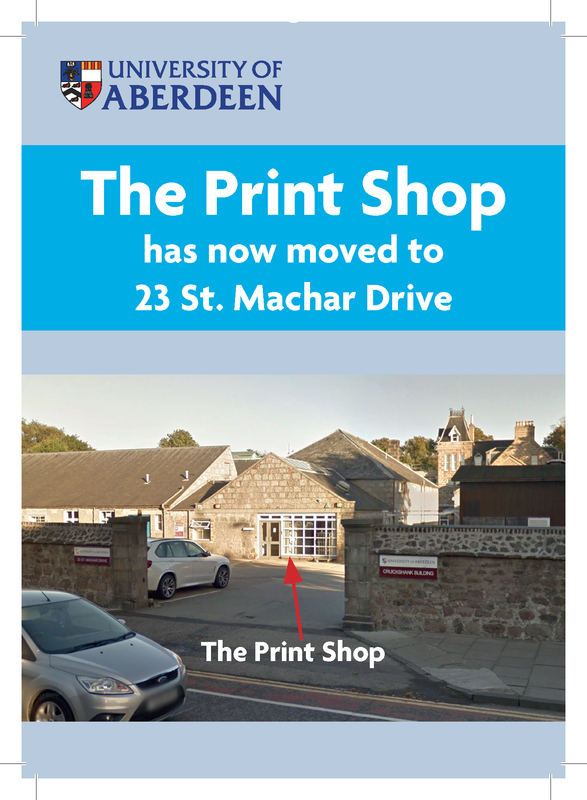 It is now located at 23 St Machar Drive, only a short walk from the library. See below for directions to the Print Shop’s new home.